Millions of people in the world practice meditation on a regular basis — and it can provide you with countless benefits. When you meditate frequently, your body becomes lighter and relaxed. With meditation, you temporarily turn off your chattering mind. Besides, it improves your circulation and your heart rate. Meditation also replenishes your body energy, and helps you obtain serenity and plenitude. It leads you to physical relaxation, so you can make use of your most powerful mental resources. Your mind also works more at ease because you reduce the levels of stress. All these positive effects have been certified by medical research. When you meditate you free yourself from disruptive thoughts and emotions. You also obtain more clarity regarding your problems. To meditate, choose a very a quiet room. Turn off your mobile or disconnect the landline phone. You can be seated or lie down on the floor or on a bed. If you are lying down, keep your knees raised or straight. Be as relaxed as possible. Become aware of any emotional unrest or tension and release it. Scan your body mentally to see what area of your body is tense. You can affirm or visualize that each part is getting more relaxed. You can also imagine your whole body bathed by a bright light. Or it can be a soft substance such as honey. Another way of relaxing your body is tensing your muscles. Then release all tension. You can also imagine that tension is like a passing cloud flying away from your body. 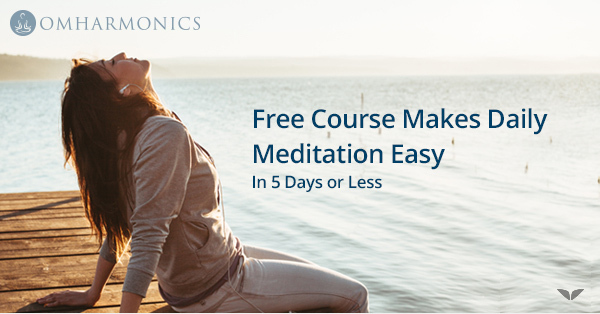 A widespread technique of meditation is to relax and concentrate only on your breath. The ideal respiration for meditation is abdominal (your belly area). Your breathing should be deep and slow. Put your hand on your belly and feel it inflating. Imagine that your belly is like a jar. With each inhalation it is filled up. And with each exhalation, emptied. Your meditation can also be accompanied by a mantra. A mantra is a word or sentence repeated rhythmically. The mantra should be uttered in slow motion. If possible, it should be in sync with your respiration. Some mantras are “om”, “one”, or “peace.” “Om” represents the universal sound that connects you to the unlimited source of provision. You can also repeat the mantra “love”. And then imagine your body full of loving energy. You can also use “visual” mantras. Imagine an image or symbol with an important meaning for you. You can also contemplate, with your eyes open, a bright object. This object can be a candle or lamp. Observe it in a silent and calm way. You can also use visualization when you meditate. You can imagine that a beam of light enters your body from the top of your head. See this light cleansing your whole body. Then observe this light coming from the soles of your feet. It goes to the center of the Earth. And then it comes back to you with vital energy. This beam of light can be golden, violet or white. You can also imagine radiating this light out of your body. See this light reaching every person in the world. When you meditate, witness your thoughts and feelings. Do not judge or label them. Imagine you are an outsider, you are an external observer. Imagine your thoughts and emotions as if they were passing clouds. Or ascending bubbles. If your mind wanders, ask yourself “What am I focused on?”. Then concentrate on your breathing. You should devote around fifteen minutes to meditation. This practice should be done every day. You can meditate preferably after waking up or before going to bed. Meditation is very important to attract more prosperity into your life. The practice of meditation lifts your vibration. This is beneficial for the manifestation of your desires. The regular practice of meditation helps you use visualizations or affirmations. Meditation also makes you more aware that you are connected to the all-mighty universal forces. Itquiets your mental inner critic and de-clutters your emotions. When you meditate, you withdraw your awareness from the current negative circumstances (e.g, lack of money). Your main focus is inside, not outside (your life situation). What are the most important ways to manifest more money? What are the main money opportunities around me? What lessons can I take from my negative financial circumstances? How can I use my talents to overcome my current money challenges? How can I perceive my current financial situation in a more positive manner? The answers to those questions can appear during the meditation process. They can also appear afterwards. They can be words, sounds or images. You might bump into people or books that provide you with these answers. You must welcome these answers thankfully. Do not not adopt a judgmental attitude toward them. Act on these signals whenever possible. If you cannot act immediately, take note of them. When you take action on these revelations, you will feel delighted and authentic. Your actions will tend to be more effortless. Always take action on revelations coming out from meditation. You will realize that your life becomes more prosperous. Dr. Bruno Roque Cignacco (PhD) studied Metaphysics for more than 17 years. He is a very well known author, Master Life Coach and certified NLP Master Practitioner. He is the author of the book "How to Manifest Money Effortlessly. Techniques to be more prosperous" (Zero Books, 2013). This book has been published in several languages, such as Italian and Korean, among others. He is also the author of "How to Become a Miracle-worker with Your Life. Simple Steps to Use the Almighty Ancient Technique of Ho' oponopono" (Zero Books, 2015). He is the author of several business books. He is an international speaker, university professor and business consultant. He has delivered countless talks, seminars and conferences in several countries. You can get your free book on The Missing Secret of Prosperity.